Storage is as big a challenge as ever. Despite our best efforts to KonMari our home, it can often feel like we're still bursting at the seams. Extra space can be hard to come by (especially in smaller homes), so getting creative and finding new ways to organize is key. If trying to find ways to fit more stuff in less space is becoming part of your daily routine, you may want to consider DIY-ing some smart solutions. Say goodbye to storage woes with this hidden door storage rack ... the perfect way to store anything from cleaning supplies to handbags. 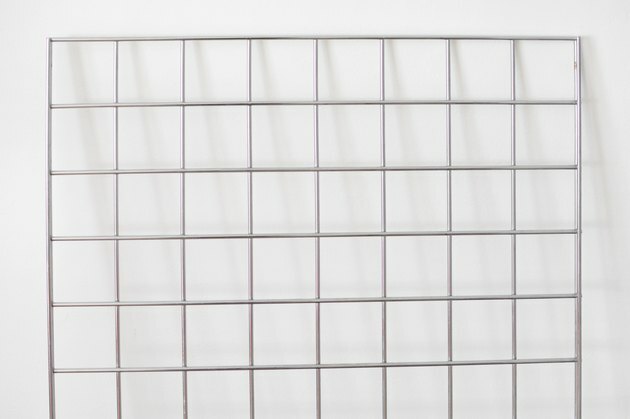 Grid panel is commonly used in store fittings so it's sturdy enough for hanging multiple items. 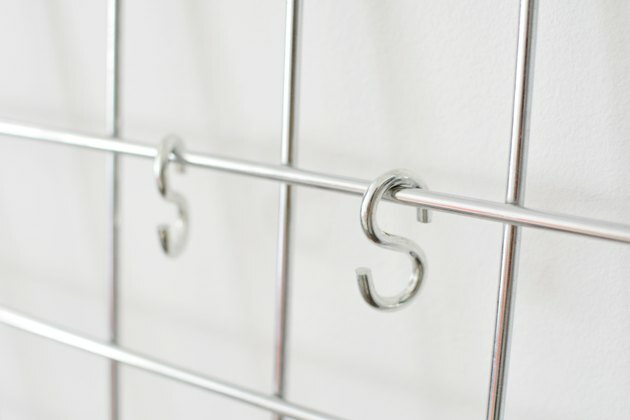 We recommend large screw-in hooks to hang the mesh. 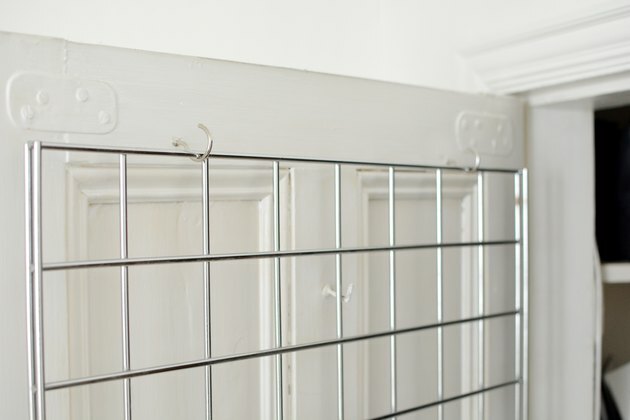 For this project, we're hanging our mesh from a wooden door, so the hooks can be screwed in by hand. Firmly twist the first hook into the door panel. 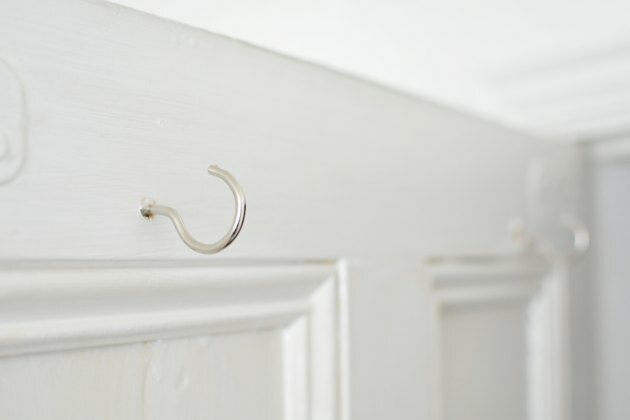 Make sure to leave a few inches of space from the top — you don't want the hooks to impede the door opening. 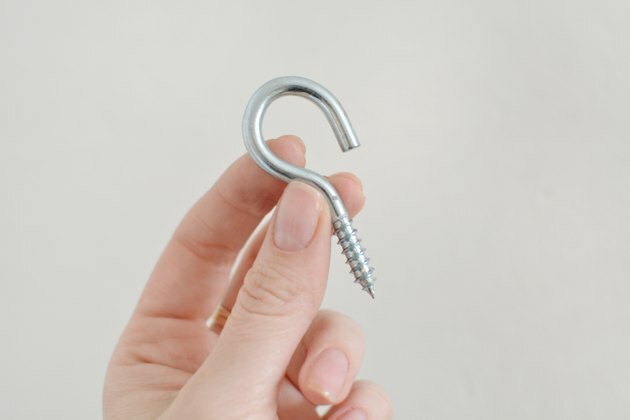 Screw in at least two hooks, about 2 1/2 inches from the top of your door. 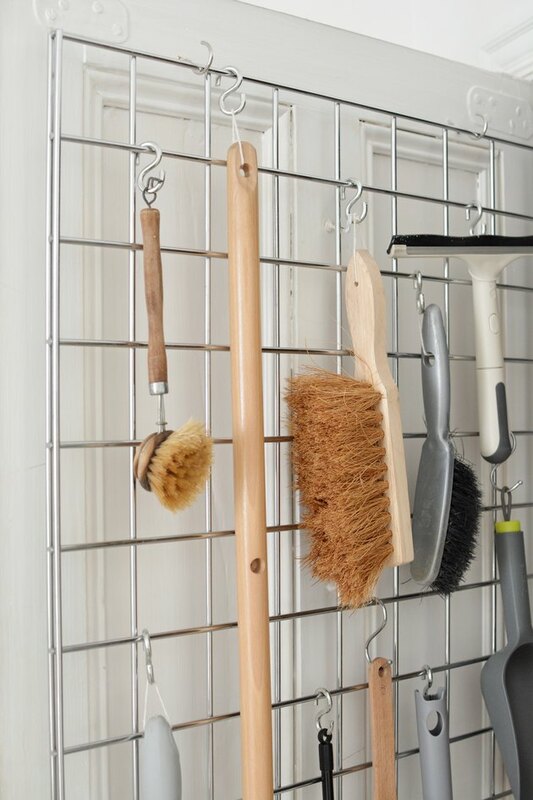 Take the grid panel and hang it from the two hooks. Add your S-hooks. This type of hook is perfect for hanging items from bars or wire mesh and they come in various sizes. Hang your items. 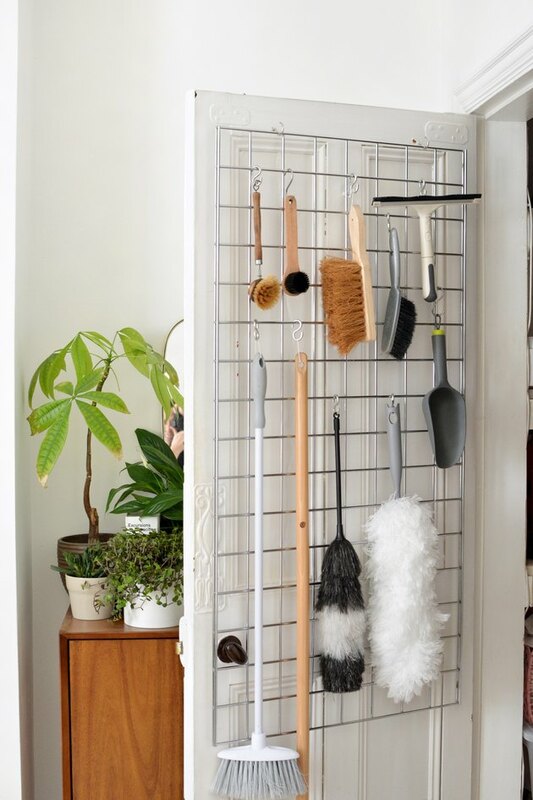 We've used our storage space to organize our cleaning tools, brushes, and dustpans. Marie Kondo would be proud! Content creator and brand new mum, Caroline studied fine art before launching her blog burkatron which has been an outlet for her love of DIY and design ever since!